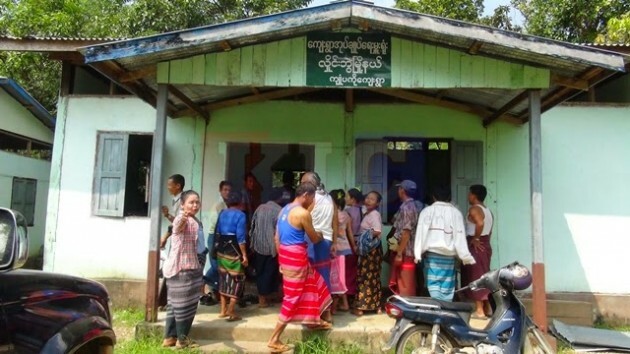 Chief Minister of Karen State has ordered businessmen who have been granted land concession to lands confiscated from local villagers in the Hti Lon area in Hlaing Bwe Township to return the land to traditional owners. U Kyaw Soe Hlaing, a Forest Department officer from Hlaing Bwe Township in Karen State told Karen News that U Zaw Min, the Karen State Chief Minister, has given a directive to return the lands that were seized by businessmen in Hti Lon and Kyone Pa Ko areas. The lands are in reserve forest areas in Hlaing Bwe Township, Karen State and were used by local farmers. As part of the first step in the process to return the lands to the local farmers, the minister held a meeting with 30 farmers and forest department officials at Kyone Pa Ko village administrative department office on October 16. The purpose of the meeting was to conduct a field survey and to make sure accurate lands measurement were taken. Sources from the forest department officials and confirmed by local farmers, alleged that U Myint Oo confiscated more than 700 acres of lands for his rubber plantation in the area and that the Chief Minister had asked him to return it to the farmers. Farmers produced evidence and documents that the lands confiscated by U Myint Oo were more than 700 acres, the business man denied the farmers claims. The lands in Kyone Pa Ko and Hti Lone reserve forest areas belong to and have been occupied by local residents for generations. Relations between landowners and local residents became strained in 2010 as land was taken by businesses for rubber plantations.